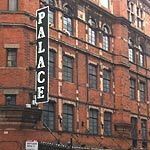 Located on the West side of Cambridge Circus, The Palace Theatre is a beautiful red brick building that originally started out as The Royal English Opera House. It has since had performances such as Les Miserables, The Sound of Music and Spamalot grace its stage. Do you work at Palace Theatre? What did you think of Palace Theatre? I saw Spamalot here and it was a brilliant show with clever set pieces and hysterical songs. The seats of the upper circle were very small however and were not made for the long legs of myself and my wife (we have two pairs each). Charles and Di were in on the same night and they got better seats. I guess if we had got a better chance in life, we'd be sitting with them. Just come home from theSunday matinee, excellent !! Fabulous !! Dancing in the ailes A must see show !! We enjoyed Singing in the rain even though the seating is outrageous. We bought tickets for the stalls Raw R. I was shocked to see that there was no legroom whatsoever. You have to sit either with your legs wide apart, which obviously is a problem since your next seat neighbour has the same problem, or sit with both legs to one side. which makes your wife extremely unhappy. We requested alternate seating but the Palace was fully booked so we were offer seats at the back of the Dress circle. These were seats reserved for the staff and definitely not the equivalent of the costly Stalls seats. From one of this seats I was only able to see half of the stage. The view was blocked and there was nothing one can do. This is a shame they are allowed to sell tickets for this Row at full price. We were lucky to have been able to purchase tickets in the grand circle, and so although not great for long legs, wasn't too uncomfortable. So the show - well as it was pre-press nights we were introduced to the show by creator Stephan Elliott who opened with an explanation hat as this was the first night, there may be one or two hitches. In the end, did it matter? No!This show captured the spirit and essence of the film, and included memorable sequences from the film, as well as additional ones specially for the show. The songs from the film were used to great effect (again additional songs were used - predominantly pop and disco) which had my feet itching and plenty of people clapping along wondering whether anyone else would mind if they stood to dance. The giant glitter ball seriously enhanced the effect. All performers stepped into the roles easily, and you wouldn't have ever guessed this was first night as dance routines, songs (from Shake Your Groove Thang to Paradise), and the one liners (instructions to one lady on what to do with her tampon - yes, you remember the scene) flew thick and fast, exuding charm and high camp comedy. Finally! (no pun intended) The costumes - wow. Some you will recognise from the film, some new and amazing concoctions, they would easily sit well if there was no set and a white wall such was the fantasia and styling surrounding these creations. Please someone award the costume designers (again! )All in all this is high on the "good feel" factor and i would recommend anyone who wants a night of glamour, high, high heels and a boogy to see this stunning new show! !